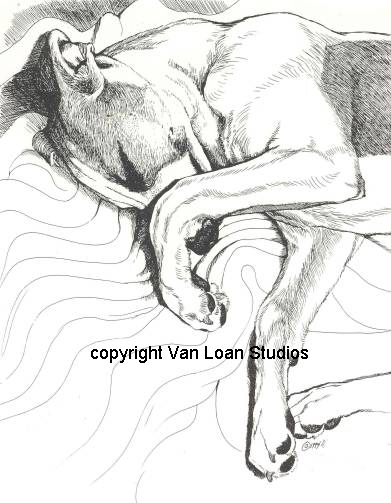 Home > Hound Group > Whippet "Sleeping Curled Up"
The print is a Limited Edition by Artist Martha Van Loan with an image size of 11x14 suitable to frame in a 16x20 mat and frame available in our framing section. Each print is signed in pencil and serially numbered by the artist. A wonderful addition to your Whippet art collection. .